With a coastline of great beauty and ecological wealth of the western Mediterranean and the extension 38 OOO ha, there is also a Martime limit of 12 000 hectares, the Natural Park of the cat has Cablo turned into a natural jewel for tourism in Almeria Ansalousie and throughout Spain. Boundary Park is the Sierra de Cabo de Gata, the largest volcanic formation of the Iberian Peninsula, which lies a few kilometers from the capital of Almería: Volcanic Complex of Cabo de Gata, exposing geological uncomplexe giving the title of European Geopark. We can see these geological events in the new installation of the “House of the Volcanoes”. The Cabo de Gata vegetation consists of various types of plants such as cornicabra, matagallo, Moorish Gorse and palmettos, considered the only palm native to Europe. Among its treasures are a variety of jujubes, most developed and largest in Spain. 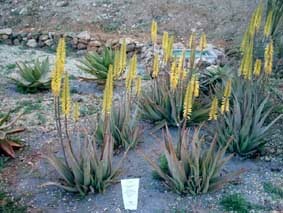 There are also endemic plants as “Dragoncillo Cabo de Gata” or “Cape Clavelina”. One of the great natural wonders of Cabo de Gata is under the sea. The seabed of the park consists of Posidonia Oceanica meadow. These sheets are under water green food and shelter for many species of molluscs, crustaceans and poissons.Entre these in addition to the usual species in Mediterranean waters and golden, pandora, sea bass or Blackfriars, there are others like scorpionfish d the wavelet or wren. This ecosystem is characterized by a wide variety of wildlife and waterfowl, especially. In the marshes of Cabo de Gata, near the sea, you can see hundreds of flamingos and other aquatic birds like gulls Andouin, heron, stork and little “snowy plover” and other species that live in the muddy waters of the marshes. Alondra ricotí in the coastal steppe. Fare from the Cabo de Gata we can contemplate the Recife Sirens, remains of an ancient volcanic pipe. The temperature is stable throughout the year, between 18 and 20 ° C by mid-year with 2965 hours of sunshine.